It was the second time my power went out in one day. The first time was at two in the morning when a nearby fuse or transformer blew causing a power outage. Other than the backyard solar light glowing, the entire neighborhood was cast into darkness. A few hours later, our power was restored and the bedside clock started blinking. The sun wasn’t up yet, but the house soon became alive with overhead lights, bacon on the stove, a hot shower, and the screech of my ironing board as I unfolded it and plugged in the iron. After my husband left for work, the computer and TV abruptly flickered off on its own, and the room was silent again. I sat in the dark and wondered at the cause of the outages and why I felt so helpless. For years I had been stocking up on candles, oil lanterns, and imagining life without electricity and instead of feeling prepared, I was paralyzed and rooted to my couch. Although I had grown up for a season in a one room cabin without utilities or indoor plumbing, the bulk of my experience was volunteering for several years at an 1800’s living history museum. Once or twice a week my family would put on our pioneer clothes, load up the car with supplies, and spend the day on the prairie cooking from a wood stove or open fire, sewing, reading books, and fanning our faces from the front porch. We learned to appreciate the hard work involved in gardening, collecting firewood, and cooking and cleaning from scratch. With no electricity and running water, it was a sun up to sun down type of existence. By the end of the day, we were anxious to return to the 21st Century. Walking into our modern day home we were greeted with air conditioning, plush furniture, computers, TV, fast food, the refrigerator, microwave, the faucet, and a toilet that flushed—it was pure luxury. We endured the primitive lifestyle and 100 degree weather because we knew it was temporary. After an exhausting day on the farm, we’d reward ourselves by stopping off at the convenience store or drive-thru for an ice cold soda pop. Preparing a quick dinner at home with ease, I was thankful for my generation. But at the same time, the bouncing back and forth into the 19th Century was a nudge to not take my privileges for granted. I gradually started making some changes at home. I wanted my kitchen functional like our ancestor’s had been. This meant no more decorations taking up needed shelf space because it looked cute, or placing all my dependency on an electrical cord. I replaced the self-cleaning electric range for a gas stove and oven. My high efficiency washing machine was traded in for a heavy duty top loader and I hung a clothes line. When my new dishwasher broke, I reverted back to the old fashioned way of washing by hand. I exchanged my Teflon skillets for heavy duty cast iron. I continued using my automatic coffee machine, but kept the stove top percolator on standby. No more reliance on electric can-openers, or noisy food processors. Although I loved my electric wheat grinder, I purchased a hand-crank just in case. Imitating our ancestors who prepared for emergencies and the change of seasons, I too took advantage of the seasonal sales at the farmer’s market and grocery stores, stocking up on bulk and dry goods, canning my own soups and meat, and taking advantages of the holiday clearances. As I faced my 2nd power outage that morning, I realized my helplessness was due to my dependency. …and now my day was shot. But more debilitating was the unknown. Like every other power outage, I didn’t know when life would resume to normal. Although I was inconvenienced that morning, I was equipped and capable of stepping back into the 1800’s. The thought crossed my mind that if I could still experience helplessness even though I was prepared for the long term, I could only imagine the feelings of hopelessness for those who are inadequately prepared for the short term. What if in a worst case scenario, our power was off long term? Living by the motto to not focus on the problem but to look for a solution, this is how I would approach my original itinerary. Flipping a switch — I would open curtains and use natural light, take most activities outdoors, and after dark, we would use flashlights, candles and oil lanterns. Our ancestors went to bed early, and got up early. Stuffing a washing machine — Clothes are easy to clean by soaking in a large bucket and hand scrubbing with a bar of soap. Hang to dry on a clothesline. Our ancestors didn’t own multiple outfits or shoes, nor did they bathe every day. Checking bank online and paying bills – Saving cash for emergencies is very important. Depending on how serious the power outage is, banking systems could be down, forcing us to prioritize what gets paid. Some options are to locate Internet access away from home, have a landline telephone as a back-up, or access the Internet through a smart phone. In a worst case scenario, there will be no access to online banks, credit cards, or savings accounts. Ideally, the best plan of action is to always be stocked up on food, water, supplies, and prescriptions for the long term. Our ancestors lived within their means and purchased with barter or cash. Connecting with family and friends through Internet —Like many people, my relatives and friends are spread throughout the world. Being thrust into the “dark ages” will end my daily dosage of Facebook, and emails. This is why I’m taking advantage of the opportunity to educate others while I can. It is a great peace of mind to know that my family and friends were listening and prepared, if or when we lose all contact. Our ancestors connected through the mail, telegraph, word of mouth, getting to know their neighbors, and spending time with their family. 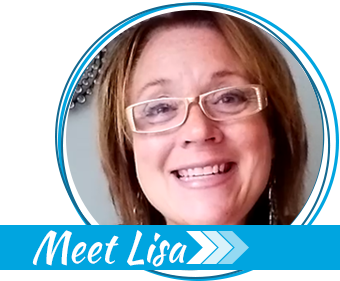 Checking my online store — A long term power shortage would create difficulties for my home based business. I would not be able to correspond online with customers, use my printer, and list merchandise. My best plan of action is to place my store on “vacation mode” if I had temporary access to the Internet. While waiting on power to be restored, I could use my time wisely by building inventory with what I had. Our ancestors took advantage of bad weather and off seasons, by catching up on mending and other demands. Vacuuming the floor — I have carpeting, but there’s a plan. A good straw broom can do brisk wonders for a floor. Some of our ancestors had dirt floors. Catching the news on TV — I own several solar and battery powered radios, and shortwave. For the holidays, we gave our relatives the wind-up, solar powered radios as gifts. Unless our ancestors had access to the newspaper, they were dependent on word of mouth. Running my sewing machine — Although I love my sewing machines, I also enjoy sewing by hand. Unless our ancestors had money, very few owned a treadle sewing machine. A young girl was taught to sew by hand when she was old enough to hold a needle. Recharging my Kindle Fire — Although I love reading from my digital book, as well as the instant gratification of purchasing and downloading, I knew early on to stock my book shelves with real books. With a massive power outage and no access to the Internet, it is important for my family to have immediate access to medical, veterinary, dental, gardening, plant identifications, old recipes, prepping, spiritual, and leisure books. Our ancestors spent time together sharing stories, reading together, and playing musical instruments. When I read about massive power shortages in other places, the long gas lines, and the empty store shelves, I am reminded of how dependent our society has become. My question is: Are you empowered enough to face a short or long term power shortage, or will you too be left feeling powerless? Helen Ruth Cates has been a prepping housewife since before Y2K. For several years, she homeschooled her kids at an 1800 living history museum, while she cooked from a wood stove, taught primitive life skills to the public, and ran a home-based sewing business. This article provides some great advice and tips! I’m very thankful that I was raised in the country my entire life. I can honestly say I have never in my life owned a dishwasher, electric can opener, coffee maker, cell phone, or even a blender. I only use cast iron to cook on and I grow, dehydrate and can my own food. I have never been real comfortable with technology. Oddly enough, the first time I had ever used a computer in my life was when I was 23 because I was married to my husband and he had 2 of them. He had to teach me how to use the internet and how to work a computer whatsoever. I think about how foreign technology was to me then and now I think the internet will be the most difficult thing for me to give up. I get almost all of my information online and stay in touch with friends and family with the internet. I agree in this day and age of instant gratification it’s hard to be without phone, internet, tv when the power is out. However for us there are bigger issues, like not having water because we’re on a well. I can’t have a gas stove because there are no gas lines where we live. This is why I firmly believe its important to look at many available options and practice using them so you know what you’re doing when there is truly a problem. We are on a well and my landlords have a couple hand pumps on stand-by should the need arise. And he knows how to install and use them. One thing I’m realizing, from this article and another I read a little while ago, is that I need to buy some screening for the windows here, as there are no screens on any of them and great big bugs, mice, rats, and other predators outside that could easily come in open windows with no screens. In fact, have to admit I find this amusing NOW, when we had a power outage for about 24 hours after a near by tornado a couple years ago, I learned a good lesson about leaving the back door open to let air in. I have several dogs who I thought were pretty good watch dogs. When we woke up the next morning did not notice much difference at first, until Mr Monk, a large white barn cat, got up to walk back out. He had wandered in during the night and none of us had noticed. If he came in unnoticed, a skunk, racoon, or damn near anything else could have as well. He has now joined the family permanently, but did teach me a good lesson when he decided to check us out. Also I had bought a cot that I figured I could use on the patio if necessary. BUT since then have seen several snakes on the patio, including one rattlesnake. Not all that sure I would sleep very well, knowing I might find a snake in bed with me. I have come to where I can co-exist with the non-poisonous snakes so long as they keep their distance, but the rattlesnakes do freak me out. Have now killed two of them in my yard, one right next to the front door. And that is in only three years. Landlords say they used to have more of a problem but they took in emus which are very effective in killing rattlesnakes. They also have guinea fowl, which are excellent at killing bugs. Most people in this area have a hard time controlling fleas and ticks, and tick fever is epidemic, but I very seldom find any of my pets, thanks to the guinea fowl. They also have free range chickens, ducks and geese and when any one wants fresh eggs, you can just pick one up nearly anywhere, except for nests with sitting mamas. You just break them in a separate bowl before tossing into something else, to make sure they are good. (The duck eggs are better than chicken eggs in my opinion.) I have also bought some of those really cheap kiddie wading pools at Wallie World, which I use for the ducks to swim in, to cool off the Great Pyrenees, and one on standby for me to cool off in should the power go out on one of these ungodly hot summer days. Today the heat index was 106, and not expected to go below 90 until way after midnight tonight. Would have been miserable without the AC, and sitting in that pool, with shorts and a tee shirt on, in the shade would be a really nice way to cool off. Also have bought a couple battery operated misting fans which really do work. And several battery operated fans, and lots and lots of batteries and rechargeable batteries and small solar units to use to recharge the batteries. I have bought battery operated clocks, old fashioned outdoor thermometers (which work indoors as well, of course), a couple old fashioned watches that use the old hand winding mechanisms. Much of the battery operated items are stored in homemade Faraday cages, made out of Behran’s trash cans, lined with cardboard or bubblewrap and sealed with aluminum tape, mostly bought off Amazon. 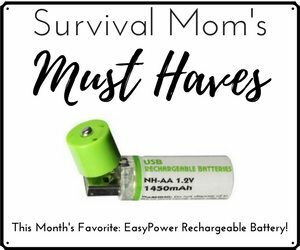 Oh, and I got the idea for putting up battery operated clocks and small items like that from an article I read awhile back here on Survival Mom. For possible use after an EMP attack. Have a couple small generators and have done as was also suggested, put aside a few electric items that would be hard to do without, trying to find the smallest of each which would use the least amount of power and take the least amount of storage space. Four cup coffee maker, small electric skillet, extra lamp stands, without the lamp covers, lots and lots of light bulbs. Have a 5000 BTU AC that could be used to keep one small bedroom cool on the hottest days, during the day if needed. Just long enough to keep from dying of heat stroke. Hopefully. That’s the key – finding solutions to your problems NOW before it becomes a problem. As for a lack of gas/water during a worst case scenario, or SHFT, many of us will be experiencing the same problems whether we are in town, or out in the country. 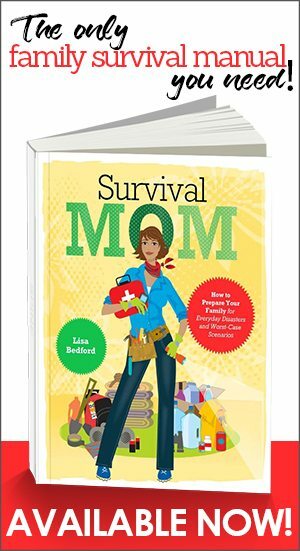 I will actually be addressing those issues in my next article, Savvy City Survivalist. Great article! As a mom of two elementary school children (7 and 9), I find it important to raise them as independent of power as possible: they do not watch television, they go outside and play in the daytime, they play board games, cards, etc for entertainment, we keep a library of children’s books and classics ( real books with real pages) and the children read every day, their toys do not require any source of power just imagination, they write pen pal letters, thank you cards and love notes to grandma on a regular basis. While we enjoy listening to music, they also sing and play instruments…often putting on “shows”. The children help with meal preparation and clean up, chores based on their ability and plant and harvest in our garden/ orchard. 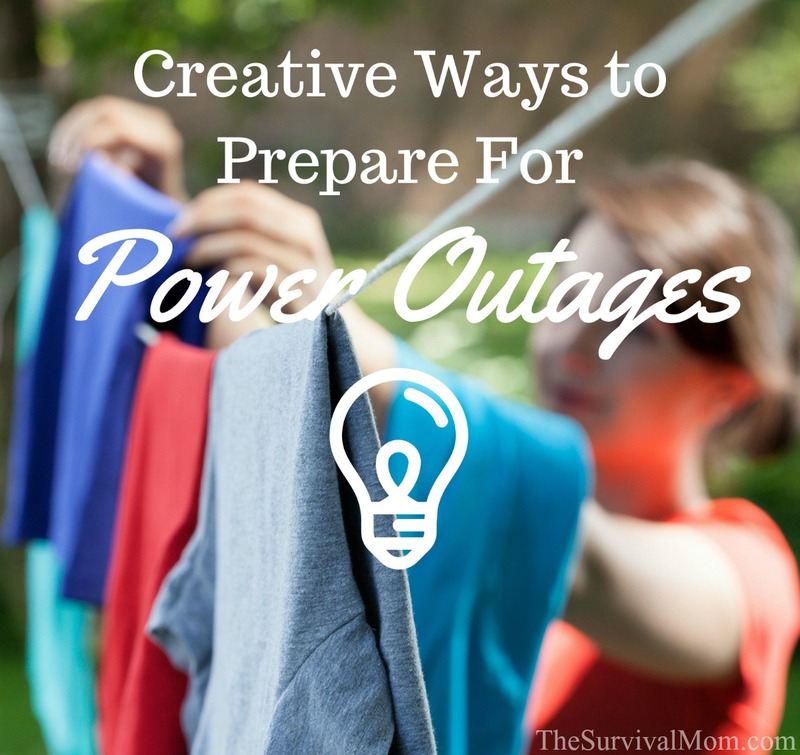 Power outages ( especially at night) are a fun opportunity for flashlight tag, glow stick baths , shadow puppet theatre and snuggling with a good book. Often, the children are disappointed when the power returns! Helen Ruth’s comments got me to thinking of a phrase I heard somewhere once, “Proactive -not – reactive.”. 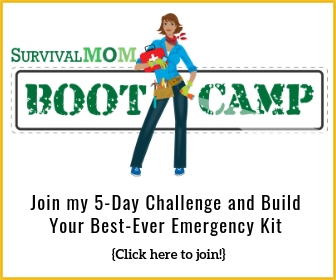 When the power is out here from storms or whatever, I switch gears and organize stuff-all sorts of things, drawers, cupboards, out of season clothing, my prepper stuff, and when the power comes back on, I’m ahead of the game. I am a 69 y/o woman with multiple health problems. IF I can stay in my home I will be ok. I can quite a bit and have no problem cooking on a camp stove. I have a dishwasher but usually wash dishes by hand. It will be a problem for clothes washing but I have no doubt I can do it. My problems are stockpiling meds. Today’s insurance companies won’t let you get your prescriptions ahead. and the cost without insurance is too prohibitive. How do other seniors manage this. I feel that we will probably be the first to go when TSHIF. You are absolutely right Claudia. A huge concern. Alternative medicine is the only route. Medicines treat the symtoms-not the problem. The more I study the more amazed at how different the pain can be from the problem. A neighbor had terrible bouts with her gal bladder-at least that’s what the doctors narrowed it down to. She had her gal bladder removed and the problem still persisted. Through alternative medine she had her back alligned, no more problems-each vertibrae is “connected’ to something in our body. I can give example after example. Energy work, foot zoning, what ever route you choose. The body can be fixed. God bless ps- my son is a doctor and western medicine does have it’s place. Good advice to get somebody killed. If “alternative medicine” worked, it would be called medicine. Medicine does not solely treat symptoms; that’s hogwash spread by quacks from the 1800s. There are solar powered chargers for devices, such as the Kindle, cell phones, tablet and laptop computers. For computers, you won’t be able to connect to the internet, but you will be able to use previously saved information (e.g., books, articles, recipes, etc) and local apps. For severe power outages you might also not be able to connect cell phones to a cellular network; however, again you would be able to use information and apps previously stored on the phone. Antique treadle sewing machines are still available and are run without electricity. I know of one fellow who converted a brand new straight stitch only sewing machine to a treadle. 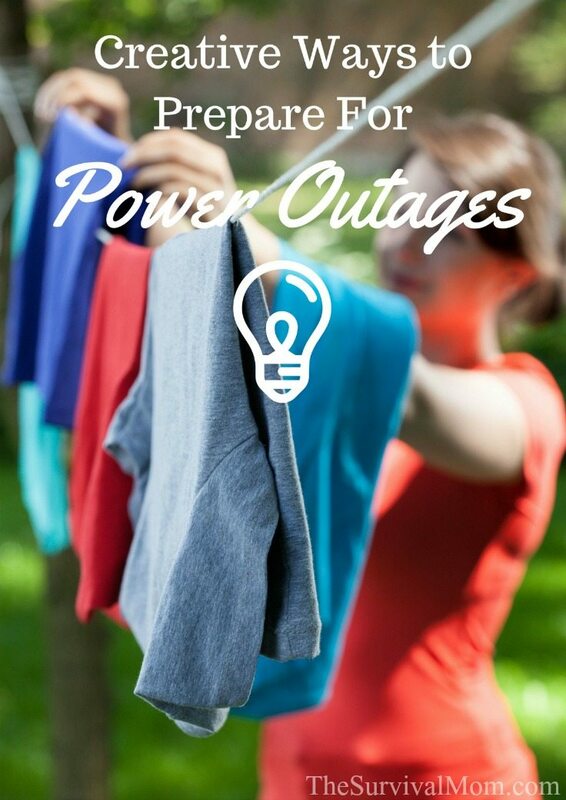 Washing clothes without power? No problem. I originally purchased this to wash the grandkids clothes at our off grid recreation property (aka retreat). Before taking it to the property, I thought I should give it a test workout. With a 5 gallon bucket and a little elbow grease it worked great. I bought a second one, to keep at home and I now use it to prewash things that are exceptionally dirty before putting them in the washing machine.